Lady J. Latricia Gardin (pronounced Gar-dean) was born and raised in Kings Mountain, North Carolina. The oldest of three girls, she was educated in the Cleveland County Public Schools. As a committed mother and wife to a military veteran, Lady Gardin is well traveled and while attending several schools of higher learning, she received scores of accolades for her academic achievements. She holds a degree in Early Childhood Education and is presently pursuing her nursing degree. Listed in the Who’s Who among students in American Universities and Colleges and having served as Teacher and Director at the EMBC Learning Center, Lady Gardin has a passionate and undying love for all children. Her quiet yet determined spirit has made her the beloved of many. For three years in Honolulu, HI, and two years in Fayetteville, NC, Lady Gardin was owner/operator of her own Child Care Center. 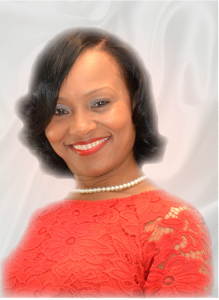 As the Lady of the Elizabeth Missionary Baptist Church, she enjoys supporting her husband in ministry, serving with the Deaconess Ministry, mentoring the young ladies in the church and spending time with God. In a time when good deeds aren’t popular as they once were, Lady Gardin’s selfless acts of charity speak volumes about her character and commitment to humankind to help whenever she can and wherever she can. With an active prayer life, a servant mentality and a spirit to gently guide women and children, Lady Gardin is poised to respond to the call of God on her life to move from the quiet place of intercessory pray to God’s places of promise in the lives of the masses. Lady Gardin is married to her loving pastor and husband of 33 years and she is the proud mother of sons, Osco III and Jarred Lamar and daughter, Shameia Latrice, grandmother to granddaughter, Skylar, and a spiritual mother to countless others.